Visiting a National Park in the shoulder season is one of our best tricks to avoiding the hustle and bustle of peak times. We visited Sequoia National Park in the fall this year and it was an incredible experience. Originally, we had planned to spend about a week exploring Sequoia National Park and Kings Canyon. Unfortunately, our van had other plans and it ended up in the shop for a few days. After getting ourselves back up and on the road, we had only two days to explore Sequoia and Kings Canyon National Park, which meant we had to hustle! Luckily for us, we had been to Sequoia National Park before and already knew of some hot spots to hit – and some to avoid! We wasted no time and started our first hike the evening we arrived in Sequoia National Park, hiking the last couple miles of the trip in the dark. Visiting Sequoia National Park in the Fall is such a beautiful experience. Late September through early November offer a different perspective of the park than in peak summer seasons. While not the most popular time to visit the park, that is exactly why we love this time of year so much! It’s never a bad time to beat the crowds – and the heat! There is no denying that there is something magical about seeing the autumn leaves changing colors and falling from the trees with every breeze. 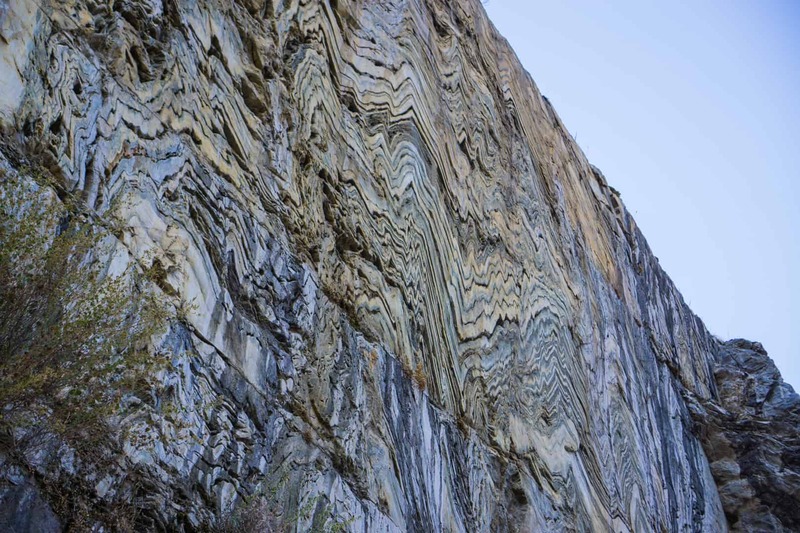 Hiking trails boast more colorful treks, and the canyon looks as if it was a painted watercolor. Each tree has its own unique coloring, bringing such vibrance to the experience. While the Sequoias themselves don’t change colors, the surrounding trees provide a glowing backsplash for the massive trunks of the Sequoias. Seeing Sequoia National Park in the fall is quite picturesque. 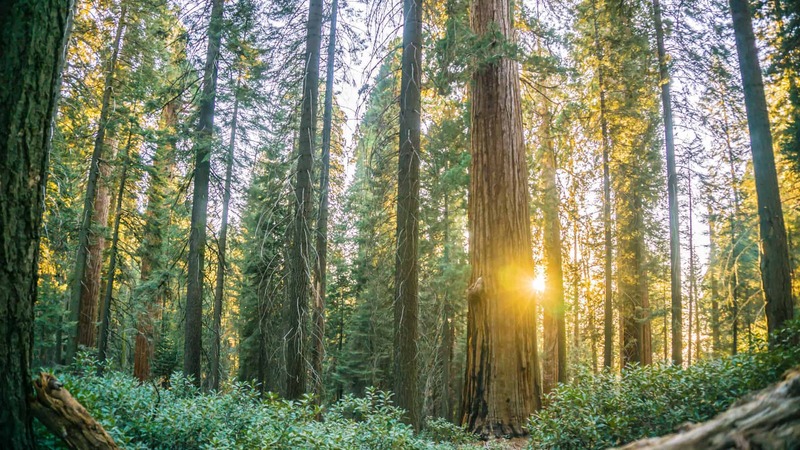 Sequoia and Kings Canyon National Parks are open year round to visitors, although some portions of the park may be closed in certain seasons and conditions. Shoulder seasons are a great way to get more time out of your visit, especially to National Parks. 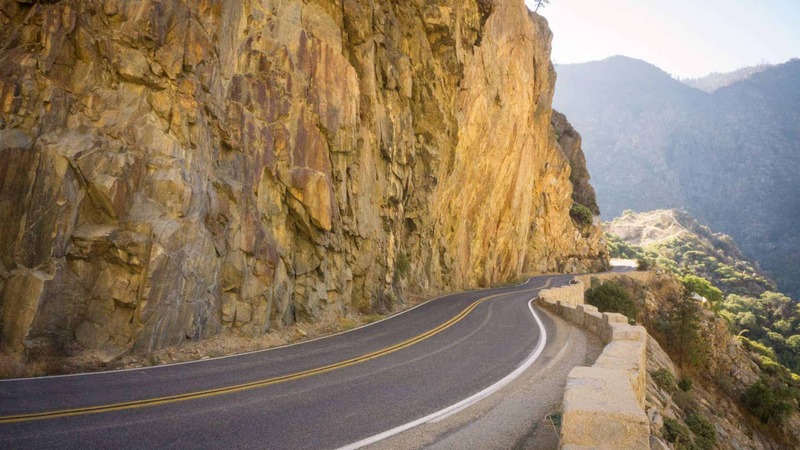 While late Spring and Summer are the peak seasons in Sequoia and Kings Canyon National Park, those seasons also bring the largest crowds and high congestion on the roads. Visiting Sequoia National Park in the fall allows an easy flow of traffic, giving you more time to get to the places you want to explore. Summer months in Sequoia National Park can be brutally hot. 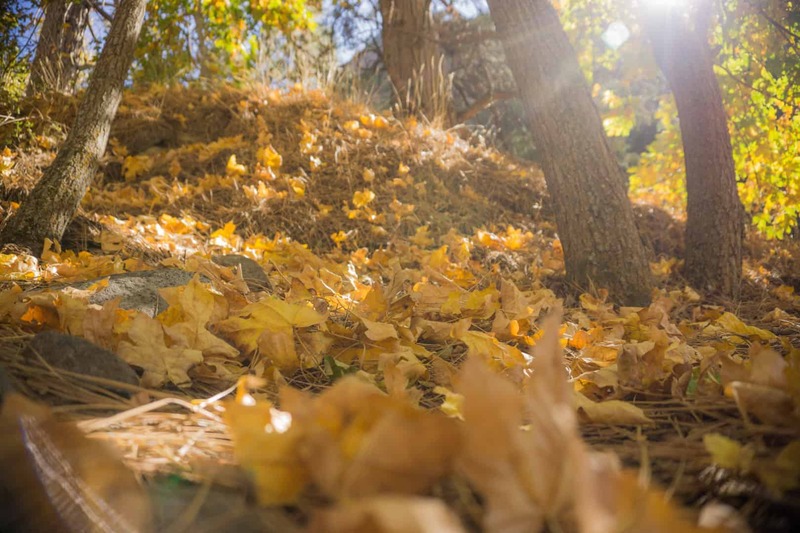 And while most of the Sequoia groves are at a higher elevation and offer some reprieve from the heat, visiting the park in the fall practically guarantees you’ll have gorgeous hiking weather during your trip. Average highs in October stay in the mid-60s (F), making hiking pants and a long sleeved shirt the perfect outfit for your travels. 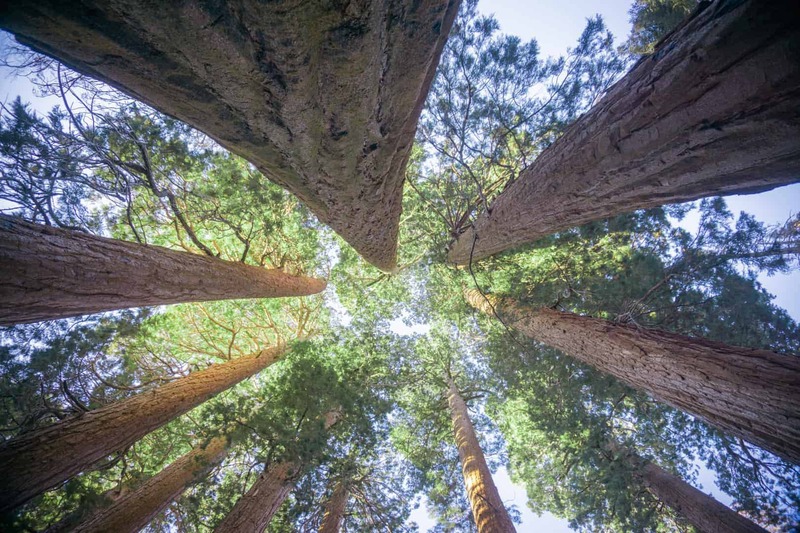 As you trek the Sequoia groves, you won’t be sweating pools in the heat of the summer, and as you prepare for the nighttime lows in the upper 30s, you’ll be able to snuggle in with plenty of blankets to keep you cozy. If you’re tent camping and want to stay warmer, choose a campground in the foothills, where overnight lows remain significantly higher than in the groves. 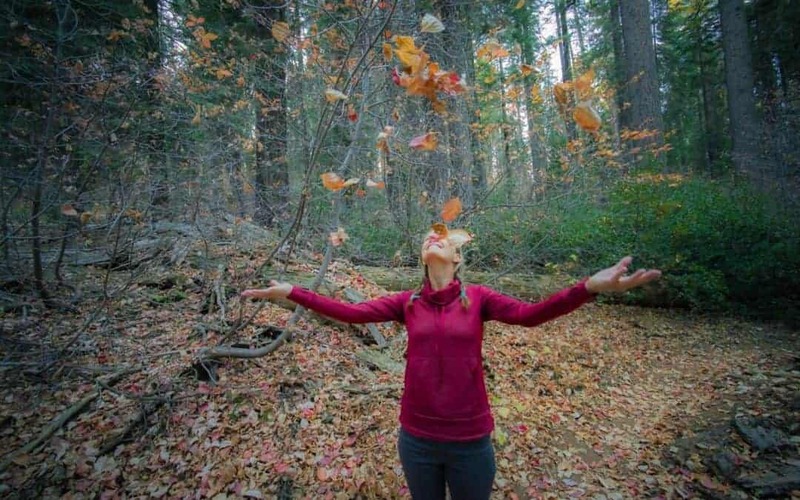 The fall weather is refreshing in the Sequoias, no matter where you choose to spend your time. Although some of the more popular campgrounds in Sequoia and Kings Canyon National Park close during the winter, several others remain open for use. Some of these have reduced amenities (like running water), but area also free to use in the winter. Here are some of the free campgrounds in Sequoia National Park in the fall. As with any remote camping, always scout ahead and research your destination before making the trek. Some of these campgrounds are on dirt roads that may be snow-covered in the winter. Be sure to click the links to the campgrounds to get the most up-to-date info on closures and fees. Buck Rock Campground is free year round and is near the Grant Grove. While not technically in the National Park, it is just a few miles outside of the park in the National Monument area. A more remote campground in the foothills, South Fork Campground is free from mid-October until late May. The road to this campground is long and rough. Big Meadow Campground is a campground in Sequoia National Forest north of Sequoia National Park. This campground is free outside of peak seasons, approximately mid-October through late May. Outside of peak season, Tenmile Campground is free to camp, although high clearance 4x4 may be necessary to access the campground. This campground is also located in Sequoia National Forest north of the park. Although not free, Azalea Campground in the Grant Grove area of Sequoia National Park is open year round and is $18 per night (as of 2017).